Charity is supported by the God! United family of nations of Kazakhstan continues unification, development and support of social programs of the government taking account to people who need in special assistance and attention in connection with living situation. 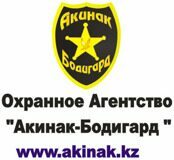 Assistance Center for Invalids and bereaved families of law enforcement officials created in 1995 is one of such famous charitable organization performing such missions in the South Capital of Almaty Oblast. Officer of Ministry of Home Affair of the Republic Asylbek Osmanov is a head of this Assistance Center. He considers that this is his sacred aim to take all measures for unification of efforts of government bodies and social institutions for further development of our sovereign government and improvement of living situation of citizens and their social protection. At the present days the Center gives material support monthly and takes rehabilitation measures. One of the most important ideas of the Center was construction and open of monument for killed law enforcement officials on duty. This monument is symbol of an imperishable memory of individuals who lay down their life in the name of living. It is situated on the Square in front of building of Department of Home Affaire and is considered to be sainted place for rituals of staff of Internal Affairs Agencies, place of memory and sorrow at untimely deceased friends. The Center is rewarded for active participation at social life of Internal Affairs Agencies, significant contribution at patriotic and moral education of staff, effective charity work. There is a special exposition dedicated to activity of the Center in museum of the Department of Home Affaire. Leaders of the Russian Orthodox Church in Almaty and Mussulman Clergy participate at activity of the Center with blessing and wide assistance. The Center expresses gratitude individuals who support its activity and hopes on further mutual beneficial cooperation with all persons interested in life of people that need in assistance and support. We appreciate all efforts of participators who assist in decision of our problems.